Seeing your Optometrist annually is very important for your eye health. An eye examination allows you to stay up to date with changes in your eyesight as well as your general health. Annual eye exams can go beyond ensuring you have a clear vision – they can also detect signs of potential health issues. You should schedule an eye exam every year after the age of 6. These beginning steps help verify that a child’s eyesight is developing properly going into first grade and the rest of their school years. Clear and healthy vision gives your child the chance to learn effectively in the classroom. The risk of developing eye diseases rises after the age of 40. Eye examinations become even more vital throughout the later years of life. In an eye exam, a Snellen eye chart is utilized to examine eyesight and eye health. After testing your vision, your Optometrist will then examine your eyesight fully using a phoropter. A phoropter is a device used to evaluate your lenses on both eyes during your appointment. The phoropter allows your Optometrist to determine if you have nearsightedness, farsightedness, or astigmatism. 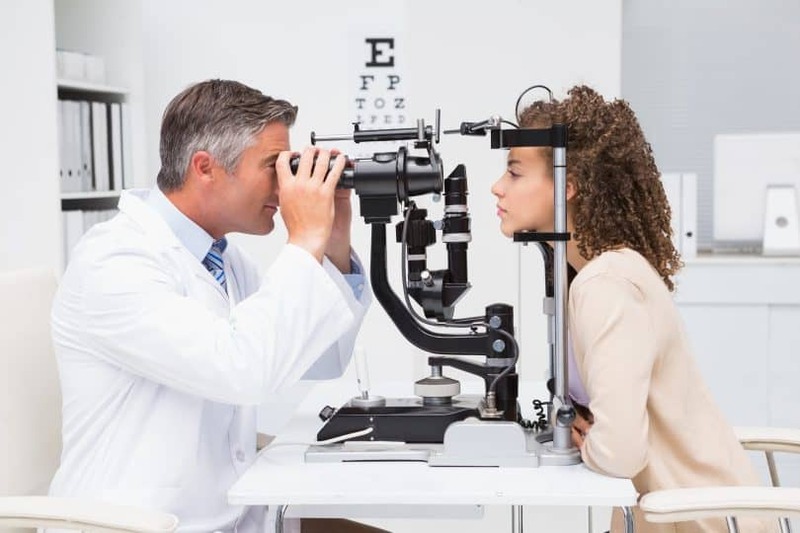 If it is learned that you have a vision condition, the phoropter is then used to define the best prescription for your eyesight in order to correct the problem. By detecting changes in your vision, your Optometrist can discover early warning signs for any number of health issues. Conditions such as high blood pressure and diabetes may appear before any serious indications are highly visible. Your annual eye exams can also help with detecting eye diseases that go unnoticed due to the lack of symptoms in the beginning. A few of the most common eye diseases are cataracts, diabetic retinopathy, glaucoma, and macular degeneration. One way your Optometrists can test for these illnesses is by using an Optomap machine. The Optomap screens your retina to detect any problems with your vision by taking a panoramic image. In most eye exams, dilation drops are not necessary, but your Optometrist will determine that upon overseeing the test. Using the Optomap device takes only a few painless seconds, and the images are available instantaneously. These eye diseases can be treated early on if caught in a timely manner; this is why annual exam examinations are fundamental to your overall health and wellness. Schedule your annual eye exam today at any of our 15 Eyetique locations.